The Jay Ion Cushion uses multi-layered foam to create comfortable wheelchair positioning with skin protection. Pressure sores can occur with long periods of sitting. The Ion cushion has four layers of foam for air movement to sustain structure and support. The top layer of foam has air movement capability for increased comfort. The next Visco™ memory foam layer works well to conform to each user and distribute weight effectively. 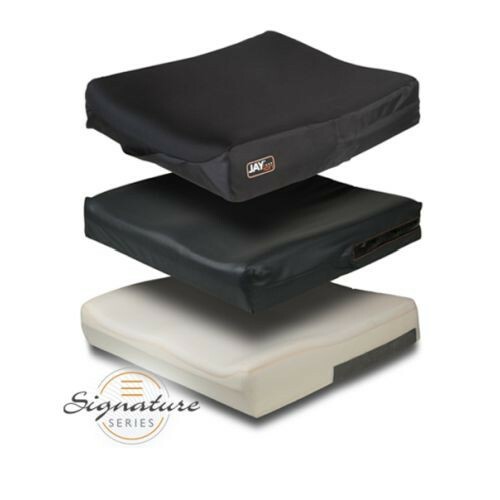 The soft layer increases comfort with a bottom layer of support foam that increased in firmness with size increases in width to support weight of user. The Jay Ion Wheelchair Cushion has the innovative JAY dual-cover system. The top cover features built-in anti-microbial properties with a 3DX spacer fabric promoting airflow and breathability also preventing heat build-up. The material is also machine-washable for easy maintenance. The second layer of protection is the water-resistant inner cover that protects the foam cushion. Fluids don't stand a chance with extra safeguards to protect your investment including the zipper's Aquaguard™ and anti-wicking X-static silver thread stitching. You may also be interested in other JAY pre-contoured cushions by Sunrise Medical such as the Jay Union wheelchair cushion with a reduced profile. Is a Jay Ion wheelchair cushion available in a 20" deep x 18" wide size? We currently do not carry that size on our site for this specific item. 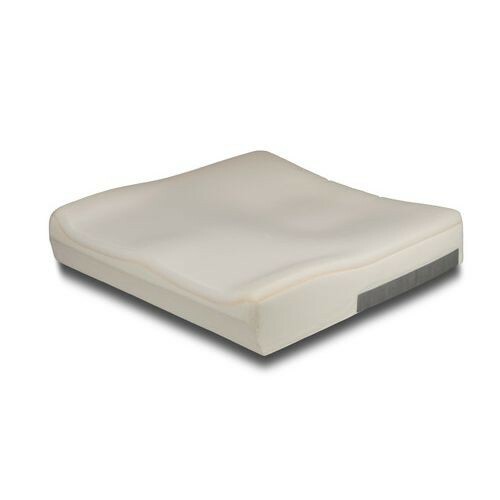 We do carry and 18 D x 20 W size; however, that is available at the following page: https://www.vitalitymedical.com/jay-soft-combi-p-wheelchair-cushion.html.